Emma loves cuddlies. She has always loved them,her favourite is Hippo Hips, a big and soft “girl” hippo she had rescued from among the elephants on a wet day in Ikea. She also has two other very special teddies, to remind her of Georgie. I wasn’t surprised when, on our flight from London to Zante two weeks ago, she asked me to buy her Lily, the easyJet mascot teddy. And I couldn’t say no. I didn’t want to say no. When you lose a child, it is hard to say no to your surviving one. 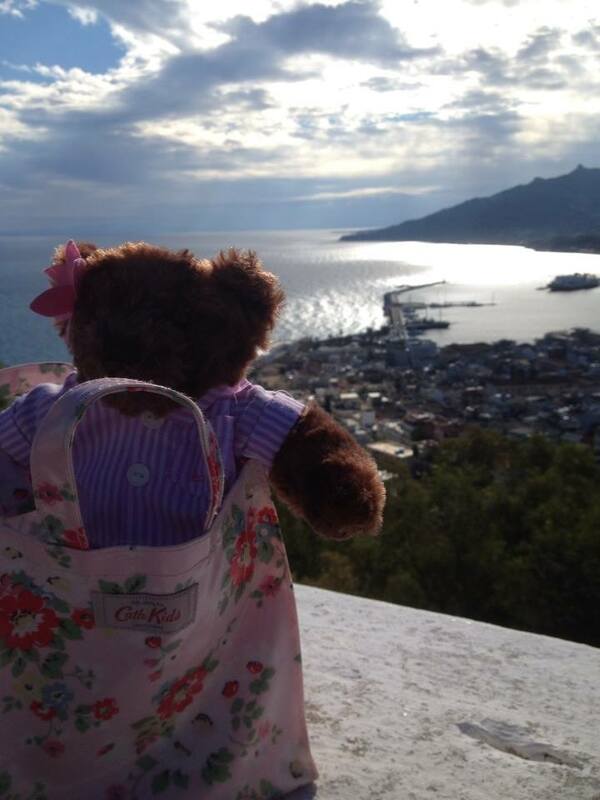 So we got Lily and took her with us on our Greek odyssey. 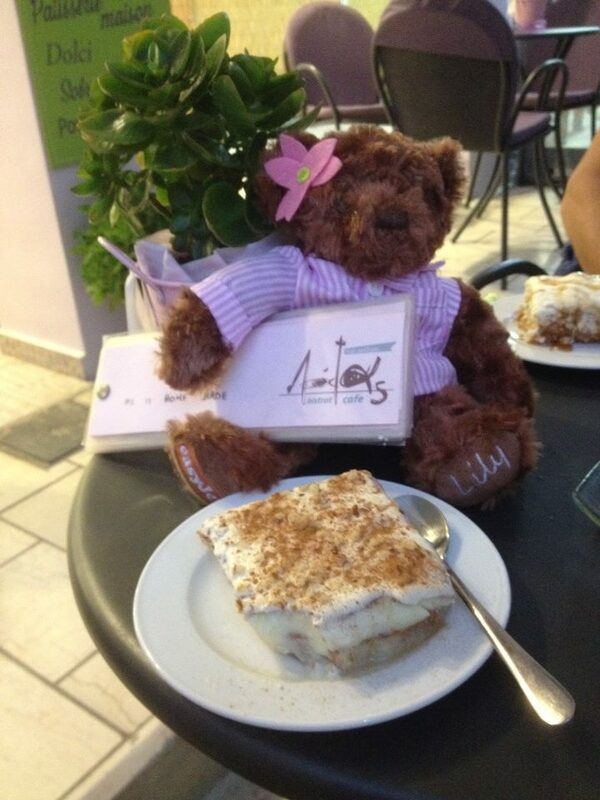 Lily proved the ideal travelling companion. In no time, she had been promoted to be Emma’s day cuddly (no-one can replace Hippo at night, sorry!) and the two of them became inseparable. She fitted perfectly into our family, quite literally. Here she is, taking Zante in from above, from the comfort of her Cath Kids carry on. She immersed herself completely into the Greek experience, there she is celebrating the National Day and waving the flag with the local crowds and taking notes in her tourist pad. But the best part of the trip was visiting Emma’s grandparents and being introduced to Arkoudaki, Alex’s old teddy(he must be around 40 in bear years but don’t let on to Lily, he doesn’t look a day older than 4). We can honestly say that it was love at first sight and the two of them now share a bed and a life in their new Irish home and we do hope they will live happily ever after together. This is our entry to the Gulliver and Lily easyJet photo contest. 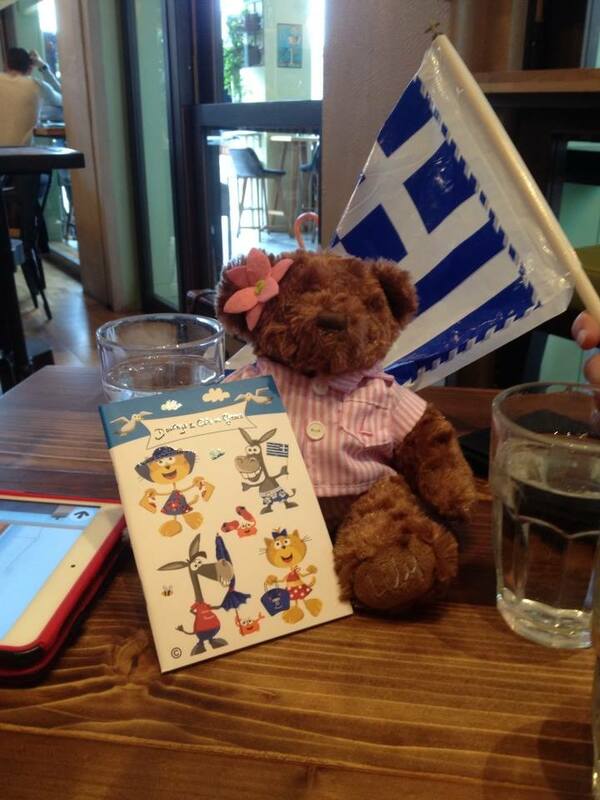 If we win the two plane tickets the company generously offers to its readers for taking their mascots on exotic trips, we will be taking our own puppet back to Greece to spend Easter with her grandparents and make more precious memories. Oh how sweet. 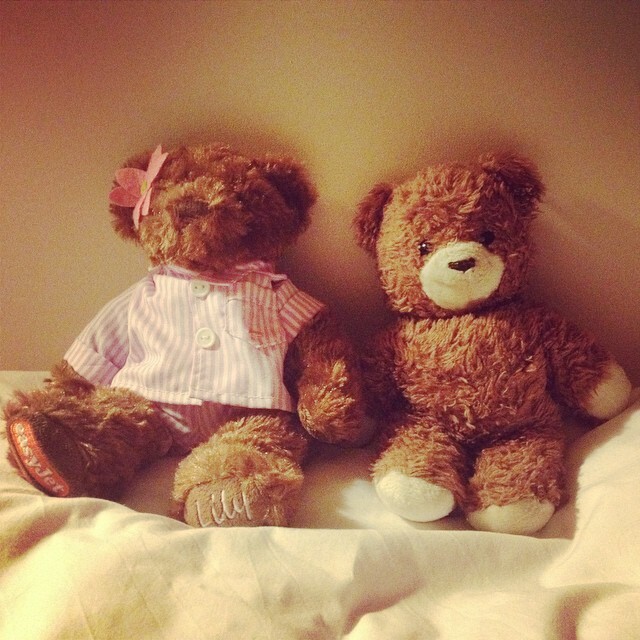 Mini and Maxi both still sleep with their bears. Aw that is so sweet and Lily looks like a gorgeous little bear. Good luck with the competition, hope you win! Good luck with the competition! Lovely photos, she looks like she’s enjoying Greece! Oh that is so adorable! My OH still has his teddy from his childhood, but it is a lot more beaten up! This is gorgeous. My daughter absolutely loves her teddy bear, there’s something rather special about them. Good luck! This is a lovely post. My daughter loves cuddling her teddy. I still have mine that I got when I was one year old!